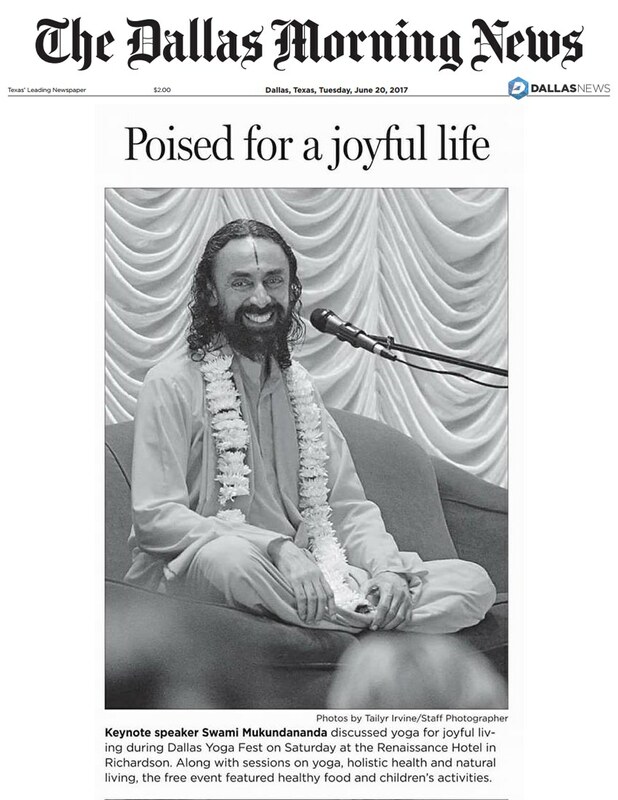 The Dallas Morning News did a special coverage of the Dallas Yoga Fest organised by JKYog on the occasion of International Yoga Day. More than 1500 participants from children to seniors attended sessions on Yoga, holistic health and natural living. Dallas Yoga Fest hosted some of the most prominent Yoga Teachers, Doctors, Healers and Health practitioners throughout the day. Swami Mukundananda’s keynote address on the topic of ‘Yoga for Joyful Living’ was one of the key highlights of the event.